Pioneer set out in 1998 to build a company with the single purpose to build superior hydraulic performing products. Starting out with 65 years of experience, the founders of Pioneer Pumps were determined to deliver the kind of products they themselves would want to buy. From their first products, Pioneer quickly surpassed industry’s expectations and performance. Since then, they have not stopped innovating by introducing their patented priming valve in 2000, to wide praise. This cutting-edge valve protects the vacuum pump and prevents raw process fluid from leaking into the environment. The model “Performance through Innovation”, was started with their hydraulic designs, modular construction, ductile iron housings, special alloys, superior engineering designs and excellent sales support, but was driven from our desire to meet and exceed our customers’ expectations. 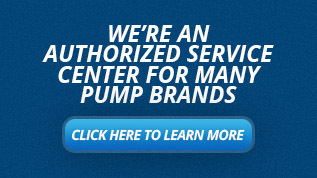 Pioneer now offers a wide range of pump and pump packages. All Pioneer pumps have an innovative impeller design that trumps all others in the industry. The impeller performs at optimal energy efficiency while moving more fluid, more efficiently, size for size. The enclosed design handles solids, requires less maintenance and has a longer life than traditional impellers. Pioneer pumps are built out of the best materials with the best engineering to give you the best pumps possible. 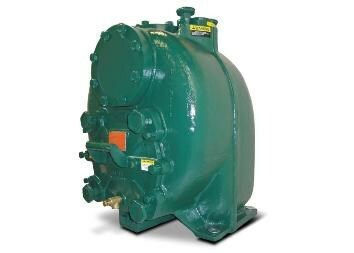 Pioneer’s Wet Prime Pumps are self-priming centrifugal pumps that can handle solids and clear liquids. The Wet Prime models consist of the ES, P and PE series. They come with heavy-wall ductile iron volute and 17-4 PH stainless steel shafts for optimal reliability. The user can easily adjust the impeller with a simple external shim-less impeller adjuster to keep the pump at the best performance. They come with tungsten vs. silicon carbide mechanical cartridge seal to make maintenance and installation simple. 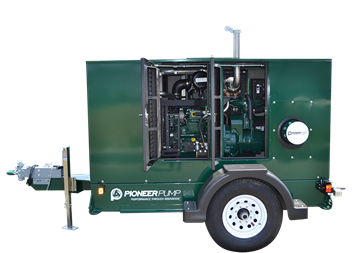 The Pioneer PP series is the pioneer prime vacuum assist pump. The vacuum system enables extremely high flows with high head capabilities. The PP uses the UltraPrime priming system and is capable of rapid (50CFM) unattended priming and run-dry operation from a remote location. The PosiValve eliminates product carryover removing environmental concerns. Packaged designs optimize energy efficiency and the modular pumpset designs make it fast and easy to conver from trailer to skid. 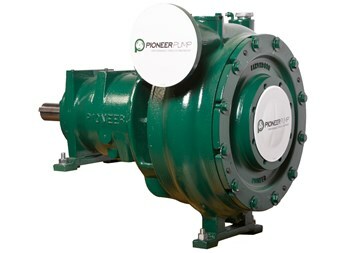 The Pioneer SC series is the standard centrifugal pump that provides superior performance in a variety of applications. Because of the large impeller eye, the NPSHr is lower and vapor-handling capabilities are improved. 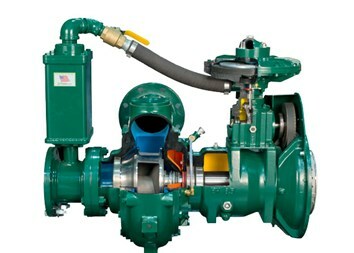 This pump strives to minimize maintenance costs with replaceable wear parts, reduce overhead cost with a modular design, and reduce operating cost with the high efficiency impeller. Applications include industrial, municipal, agricultural, mining, paper mills, and oil and gas. Pioneer also has a variety of pump packages that include a diesel driven engine tom improve and increase performance. Packages also are mounted on a cart, base, or platform to make them versatile.